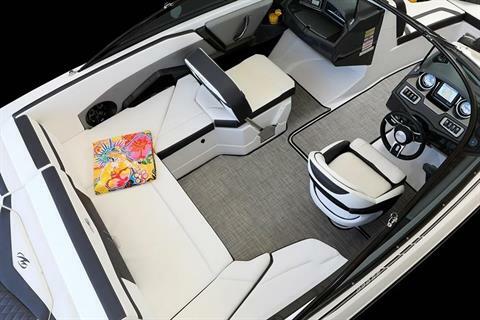 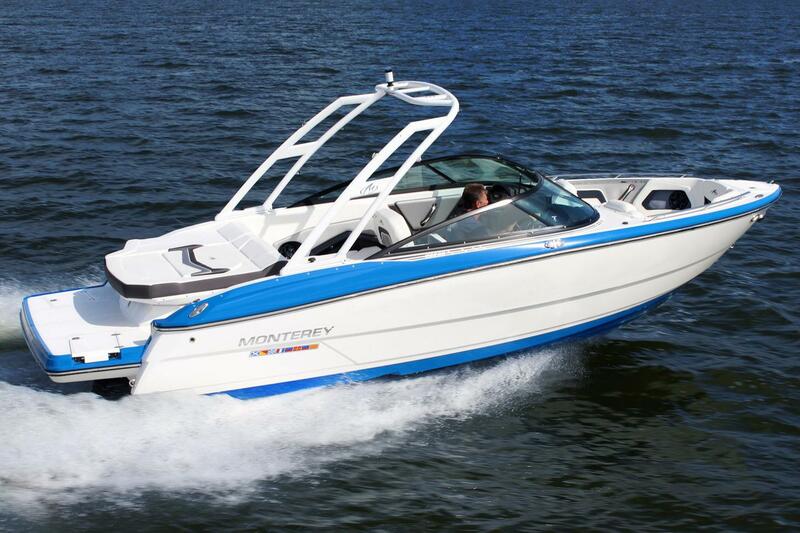 Powerboat performance and day boating versatility, make the Monterey 238SS an unbeatable combination. 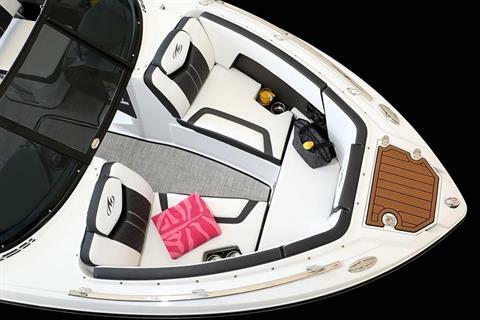 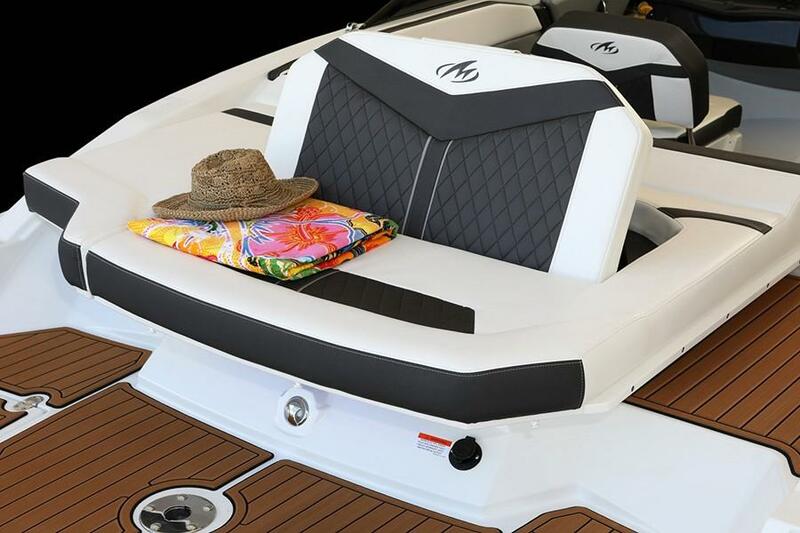 Equipped with luxurious aft sun-pad with aft facing flip-up bolster, the 238 is a sun worshiper’s delight! 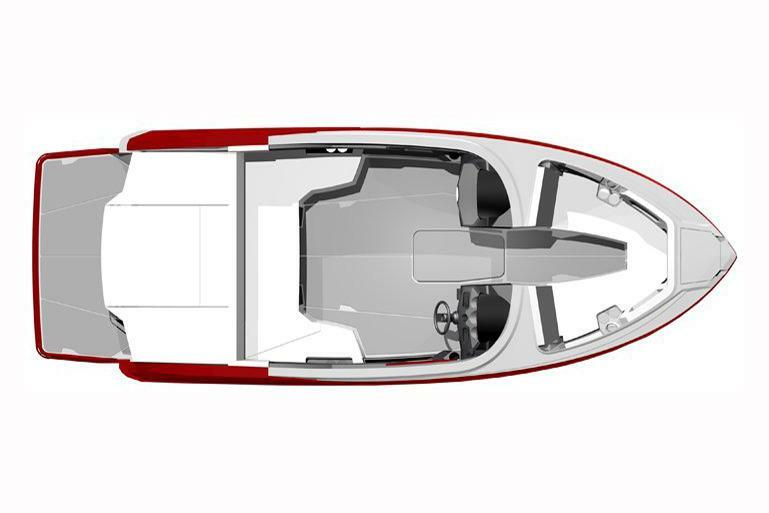 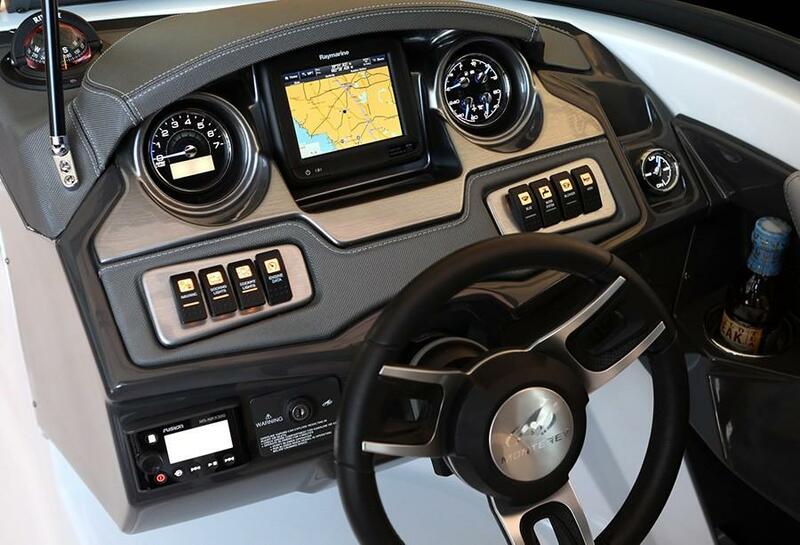 Standard features include an ergonomically designed helm station, multiple dedicated storage options, spacious seating accommodations, and telescoping and recessed boarding ladder. 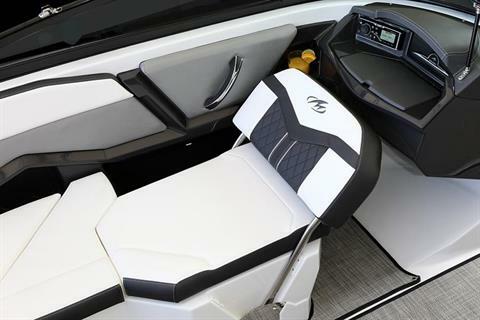 Add in the optional wakeboard tower, and you’ll have everything you need to enjoy your time out on the water to the fullest.